Greetings from Brussels. 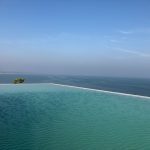 Warm sunshine and blue skies greeted me when I checked into Citadines Toison D’ Or Brussels and I had the largest apartment ever. A beautiful living room filled with Godiva chocolates, a comfortable bed room, a kitchen and other amenities was awaiting me and I almost wanted to curl up and sleep. 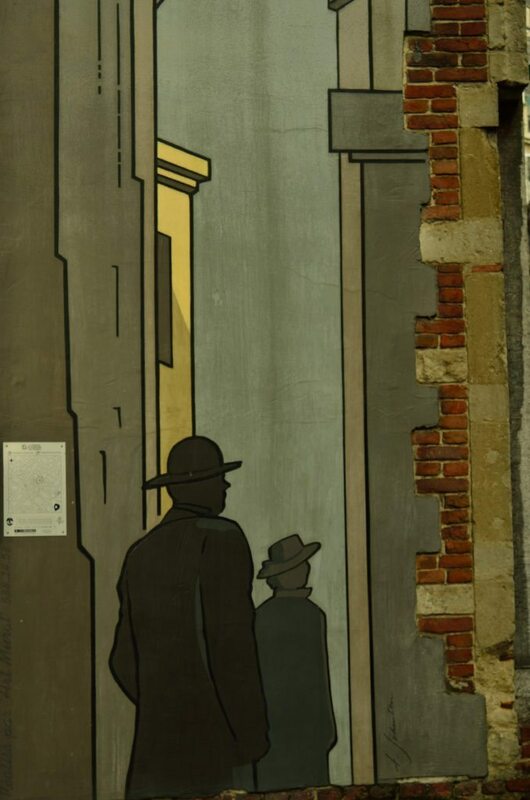 But a simple art work on the walls reminded me of the legendary comic strips that adorn the streets of Brussels. 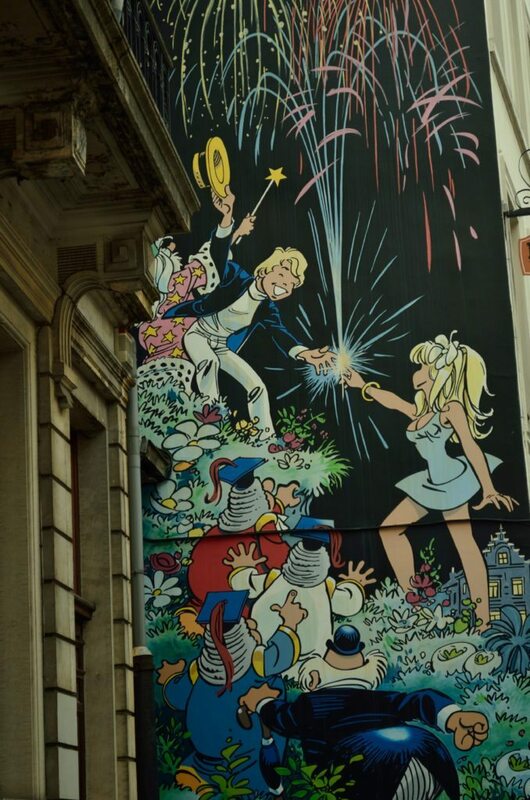 If street art is a way of life to explore Berlin, (Read my post – Street art in Berlin ) then walking around the streets of Brussels, you see several strips of comic art adorning the walls of buildings. In fact there is an entire wall here which is filled with just comic strips. 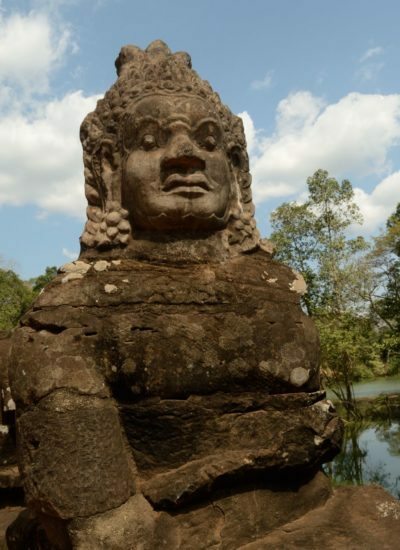 And a museum too. 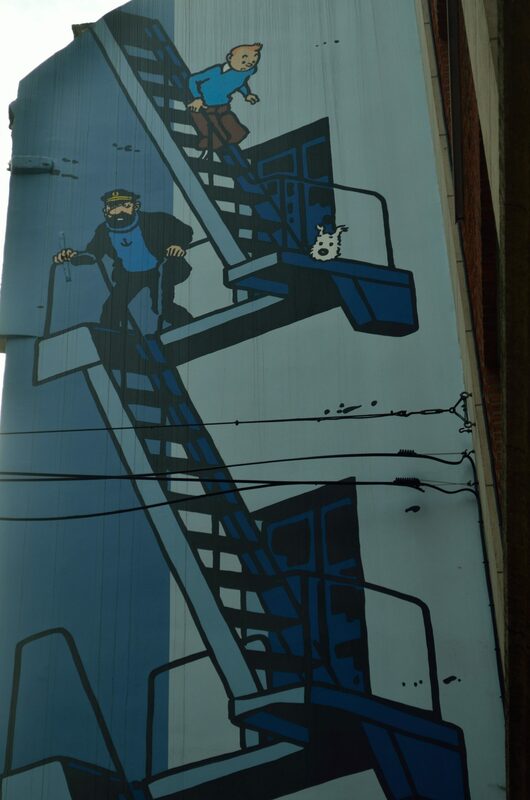 The most famous is of course Tintin and there is a museum dedicated to him, just outside the city. 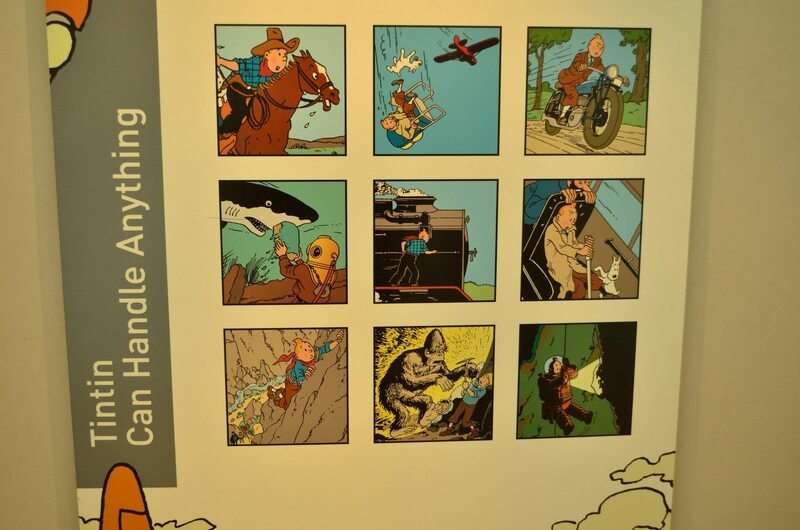 However in the Comic Art Museum, there is an entire section dedicated to him. 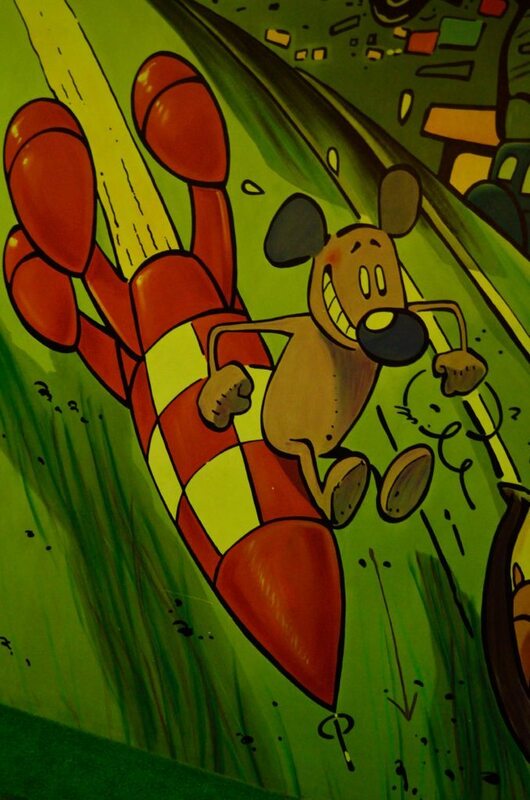 Here is a photofeature on some of the comic strips that are painted on the streets of Brussels and then I will take you into a world of the comics in the museum. The museum itself is very fascinating. 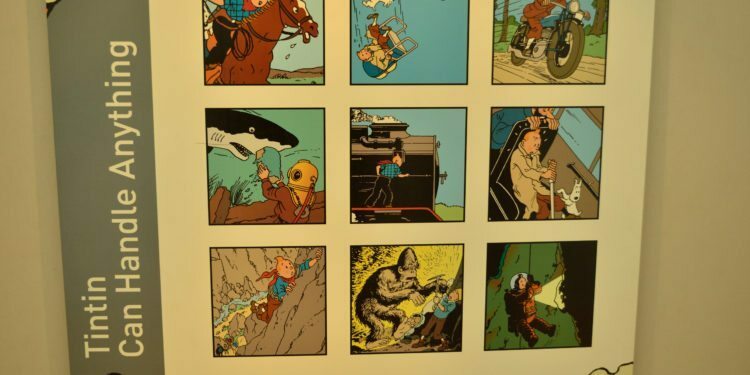 Besides Tintin, there are sections dedicated to other artists and talks in detail about the history of comic strip and the various techniques used in creating them. A fascinating section indeed. 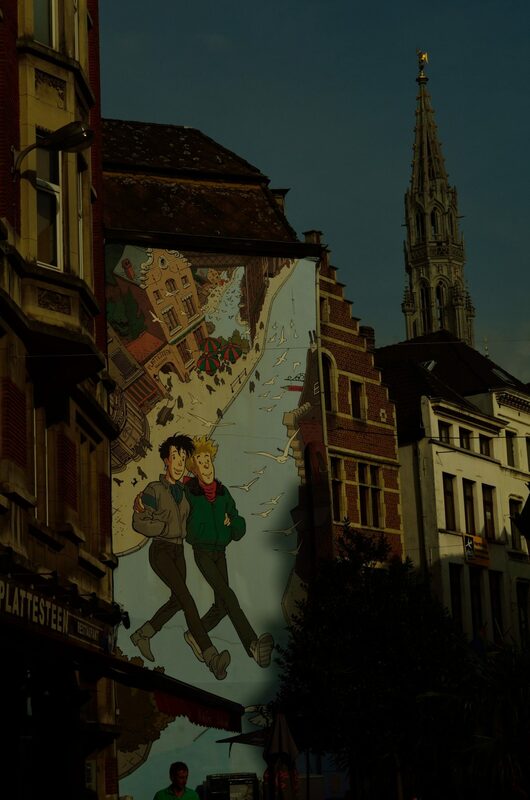 Almost all of Brussels is depicted in a comic striip..so if you want to see the areas and localities in a funny tone, do visit it. 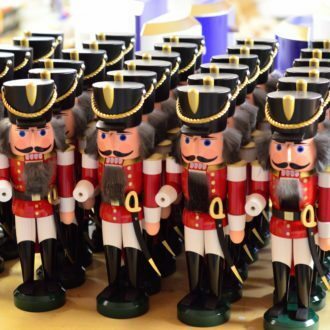 And I was told that the a section on the Smurfs was in the offing. A little book store here is a treat with caricatures, books, magnets and postcards. 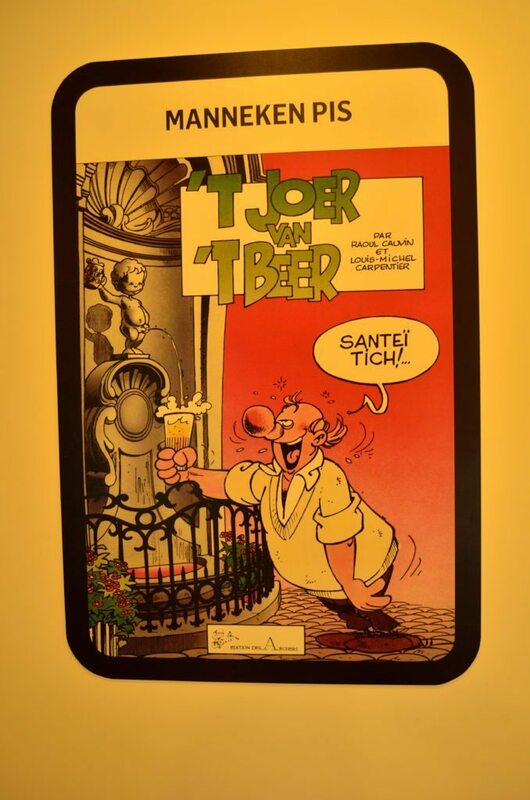 Next time in Brussels – dont miss the Comic Strip Museum and if you have the time, do go to Tintin museum as well. Just the piece when I am planning my trip to Belgium.